Little Sis loves princesses and fairies. 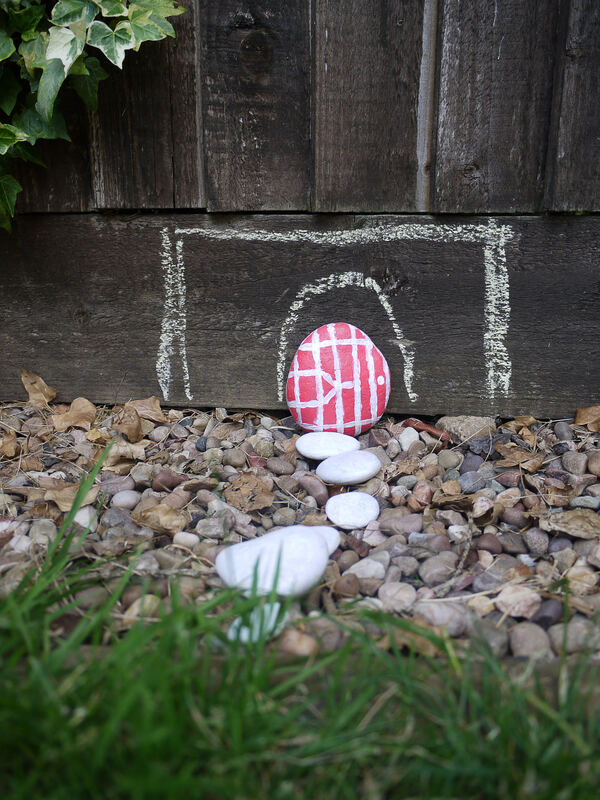 As the children are spending so much time out doors at the moment I thought we could make a magical door so the fairies could come and visit us. This is a great nature craft. I don’t know about you but we seem to pick up flat stones where ever we go. I love to re-use them rather than let them sit around in glass jars. We’ve already used some to make Gruffalo story stones and we have a few more crafty projects up our sleeves. I picked out the largest stone I could find and painted it with acrylic paint. When it was dry I added details such as hinges and a door knob. 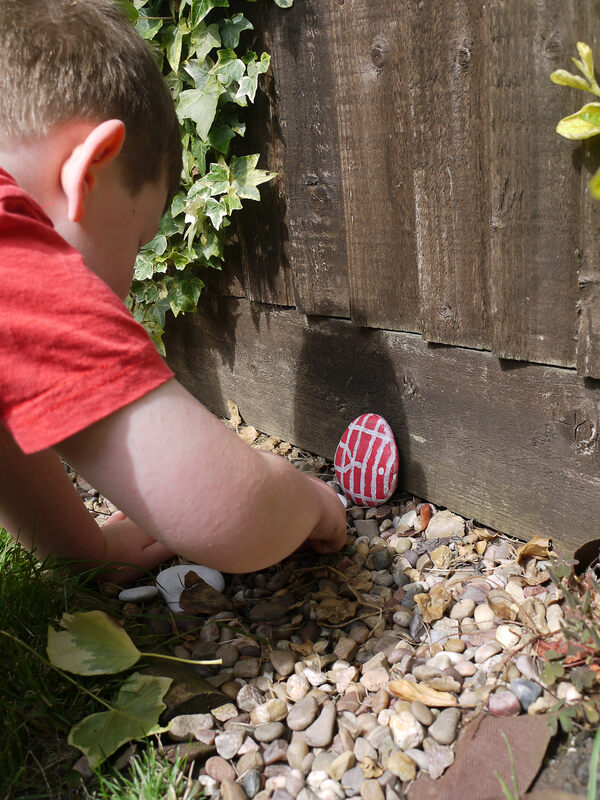 I also painted some smaller stones with white paint so we could make a small path. 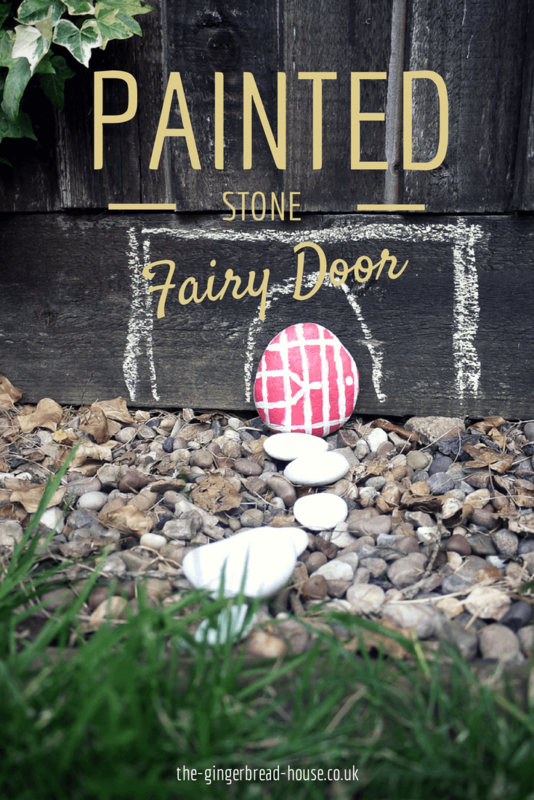 When everything was dry I gave them to the children who carefully set up the painted stone fairy door in the garden against the fence. They added the smaller white stones so the fairies could cross the gravel without hurting their feet! They had a great time and it was lovely to hear them totally absorbed playing with the stones and making up stories about fairies. This is so sweet! Bet my daughter would want one too. Thanks for the idea! Loving it. I think this is very adorable! 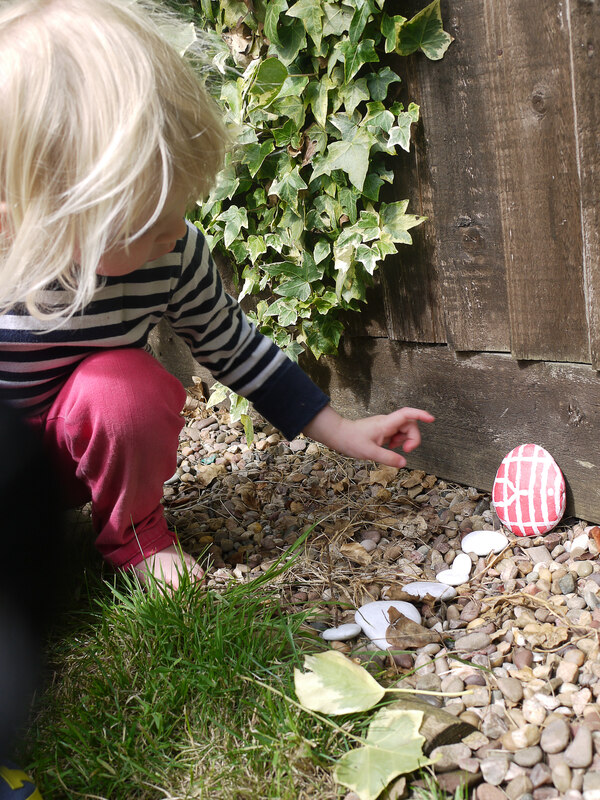 My little niece love fairies and all those magical stuff, I’m sure she’ll love to have a fairy door at their backyard. Thanks for sharing this!